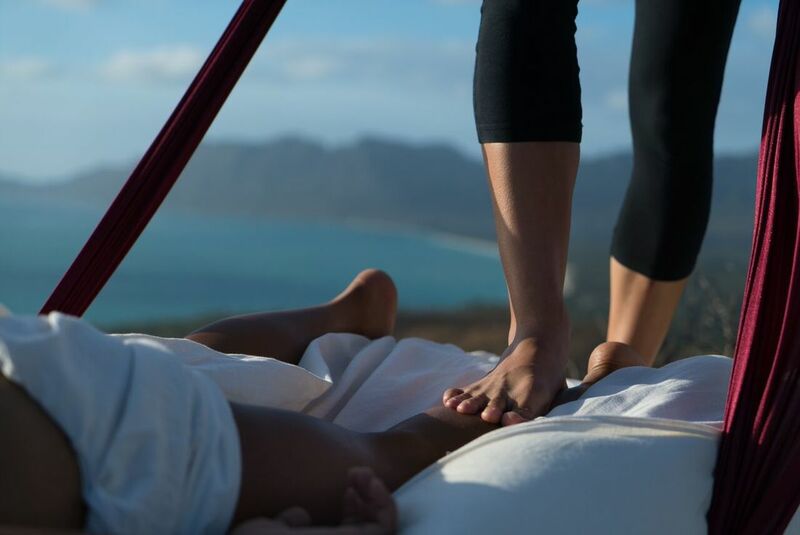 SARGA BODYWORK is a barefoot massage method that employs the use of a fabric strap fastened to a massage table to deliver therapeutic myofascial and deep tissue techniques. This fabric strap is used by practitioners for stability and to add tensional and gravitational force to specific manual therapy methods. 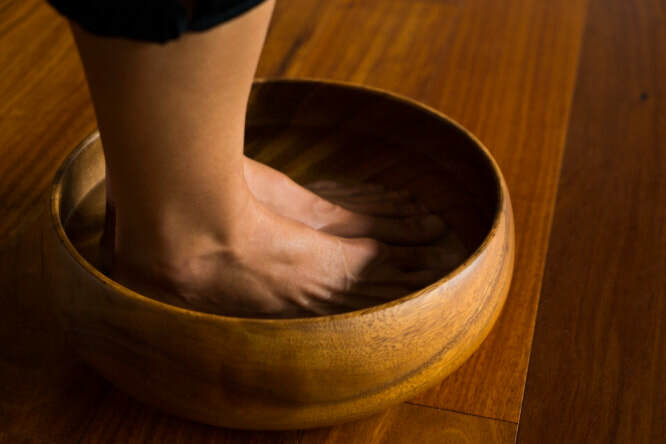 These methods, combined with the broad contact surface of the foot facilitate less restriction and more ease and relaxation in recipients’ bodies. SARGA BODYWORK encourages myofascial technique over effleurage or deep tissue techniques. We define myofascial technique as manual therapy characterized by sustained, oblique, and high friction contact with the aim of stimulating a stretch response in the fascia associated with muscle (myo) tissue (think shear-force). This technique helps to facilitate length, hydration, and mobility in recipient's connective tissue. We celebrate the broad, densely innervated surfaces of our feet as perhaps the most effective and intelligent tools for this purpose! ​SARGA BODYWORK IS COMPLETELY MOBILE. Bodyworkers tend to be an independent breed, and the beauty of being a bodyworker is that our work goes with us wherever we go. We might be working at multiple locations, driving to outcalls, or traveling the globe while providing treatments to fund our wanderlust. Sarga Bodywork serves this independence by providing barefoot bodywork that is not limited by the need for structural overhead support that is built into a treatment room.